Gov. Rick Perry will give another State of the State speech on Tuesday in Austin, but many people are considering it a “State of Rick Perry” speech. 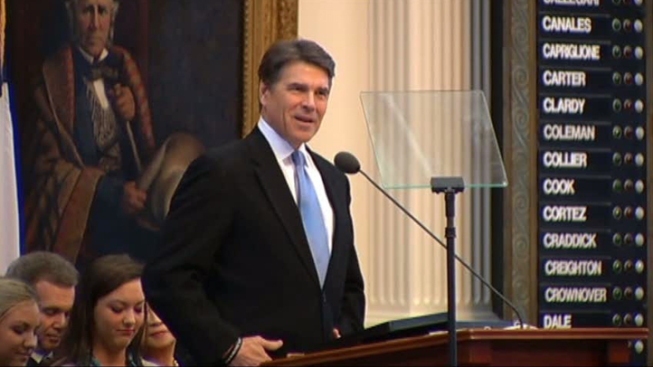 Back in 2011, Perry’s State of the State speech hinted at a possible run for presidency. In his speech, Perry touted Texas’ economy under his guidance and how the state was a top destination for business. See what Perry had to say verbatim in his 2011 State of the State speech here. Things are a little different in 2013. Perry is coming off a failed presidential run that saw his Texas talking points fall flat in Iowa, New Hampshire and South Carolina. Now there is talk that in 2014 his longtime political ally, State Attorney General Greg Abbott, is eying a run at the Governor’s mansion in a blog post on the Houston Chronicle here. The big question is: what is in Perry’s political future? His State of the State speech may give a few hints. Perry is scheduled to deliver his speech at 11 a.m. before a joint session of the 83rd Texas Legislature.